I have always wanted to make one of these so when my daughter asked for a rainbow cake for her birthday I was happy to oblige. I was in a hurry with birthday preparations, so decide to keep it simple by using packet vanilla cake mix. 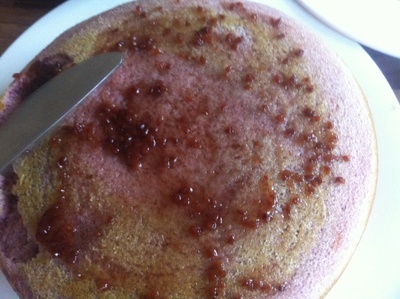 If you have a favourite vanilla cake recipe you can substitute it for the packet cake and continue from step 2. Make up a huge batch of cake mix following the directions on the packet. 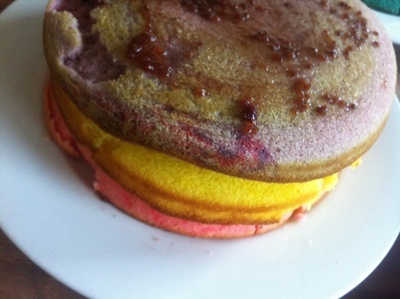 Make sure you are using vanilla cake mix and not a butter cake as butter cake will give a yellow tinge to your rainbow. Divide the mixture equally into 5 bowls. I used a measuring cup and measured out 1 cup into each bowl. 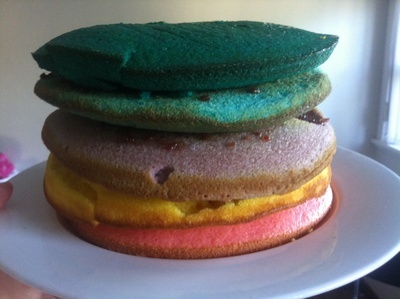 Now you can add the food colouring you want to create the colours you would like. 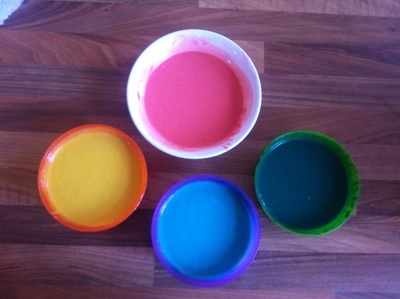 You don't need too much food colouring, a few drops into each bowl should be enough. Mix the colour in so it is even. 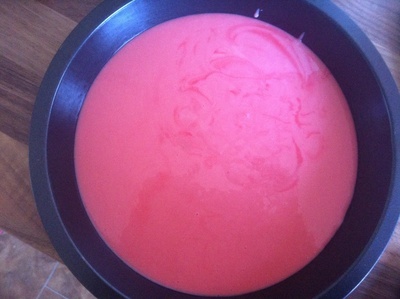 Cook in a round 20 cm diameter tin at 160 degrees Celcius for a fan forced oven or 180 degrees Celsius for a regular oven. If you have several round baking tins of the same size you can cook them all at once, otherwise cook them one at a time. They only need to be cooked for about 10 minutes or until they spring back when you press on them because they are only half a cake each. Once cooked, allow the layers to cool completely before you work on assembling the cake. Once completely cool, put your first layer onto a serving plate. Spread jam on top to cover, then put the next layer on top. The jam will stick the two layers together. 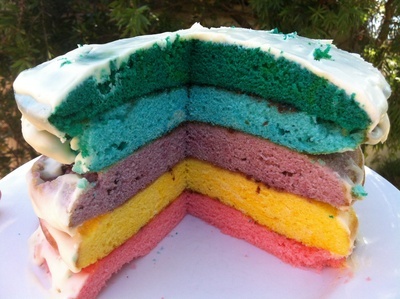 Continue on like this until all your layers are done, then you can ice and decorate the cake. Use your favourite icing recipe. 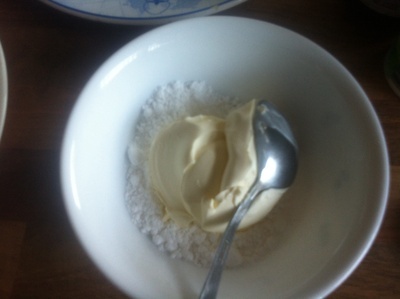 I used a cream cheese one which went great with the vanilla cake - cream cheese and icing sugar. The effect once the cake is cut it worth all the effort.